All students and parents, plan to attend — Butler High School will be hosting its second annual Flight Night on Monday, Oct. 1, from 6:00 to 8:30 p.m. There will be sessions for all grade levels to help parents and students begin the college and career planning process. Topics include: College 101, Financial Aid, Career Resources, Common App, NCAA Eligibility, MVCTC, Military options, ACT vs SAT, College Credit Plus, and more. Also, you will have the opportunity to visit the CCRC (College and Career Resource Center) in room 104 and learn how students have opportunities available throughout the school year to obtain information and assistance with career search and planning, college search, completion of college applications, guidance with college application essays, resume development, and ACT & SAT practice. There will also be an explanation in the CCRC on the parent part of Naviance. Butler High School will be hosting their annual College Credit Plus Informational Meeting on Monday, October 1, 2018 at 6:40 in the PAT (during our annual Flight Night). Students interested in the program must notify and meet with their high school counselor (A-G Mark Peck; H-N Kelly Stevens; O-Z Jennifer Donovan) by Thursday, March 29, 2019. Morton students will still be required to meet with a high school counselor, but should return the Intent to Participate Form to the Middle School Counselor, Ms. Reinhart. You can find the Intent to Participate form under the Educational Opportunities tab on the Butler webpage. If you have additional questions or would like to set up a meeting, please call the Butler Guidance Office at 937-415-6309 and ask to speak to your child’s counselor. The 2018 Homecoming Parade will take place on Thursday, Oct. 4, starting at 6 p.m. The parade route begins at Tuskegee Airmen Drive and ends at the entrance to the North Butler parking lot (entrance between the Board Office and the Public Library). 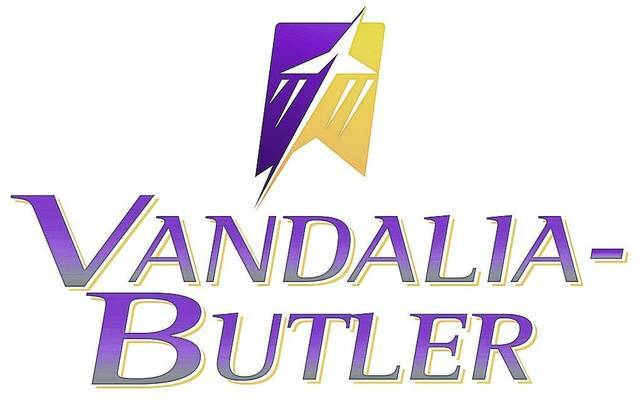 Any alumni or members of the Vandalia-Butler community who would like to participate are encouraged to contact Mrs. Maria Smiley ASAP at Butler. Parade line-up begins at 5 p.m. The annual Powder Puff games at Memorial Stadium on Thursday, Oct. 4 will begin following the parade. Admission is 2 canned goods or $2 – proceeds benefit the Vandalia Food Pantry. Powder Puff t-shirts will be delivered to 1st-period teachers during the week of Homecoming. This year’s Homecoming Dance is hosted by Student Congress. It will be held Saturday, Oct. 6, 8-11 p.m. in our SAC. The Outside Guest Dance Attendance Form should be submitted to Mr. Ryan Williamson or Mrs. Shalyn Leighner by Wednesday, Oct. 3. Through the use of breathalyzers, all students attending the dance will be tested for the consumption of alcohol. All students must arrive to the dance by 9 p.m. Phone call attempts will be made to parents of students who purchased tickets but are not at the dance by 9 p.m.